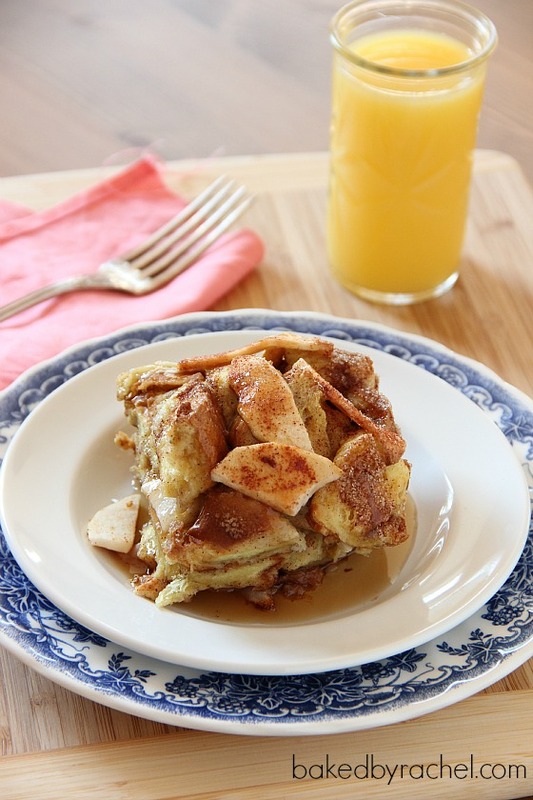 French toast meets apple pie in an incredibly easy and tasty breakfast casserole. Last weekend the Mr and I celebrated our 8th wedding anniversary. Being the low key (aka boring) people we are, who have three little children to think about, there wouldn’t be a evening out on the town. No wine or dancing… not that we enjoy either. Well… he likes wine, but we don’t dance. Our wedding was the one and only time outside of some random boogy-ing along in the kitchen to Pandora, when no one is looking. Not that there is really much to do in our little area anyway. After much debate, we decided to go out for breakfast and bowling. Tasty and fun. If I’d thought more into it, I not only would have trimmed my nails… hello broken nails from bowling. Call me annoyed. But I’d also have brought my Grandmother’s old bowling ball instead of relying on the ones at the bowling alley. I like the 6 and 8lbers and every – single – ball had holes that were beyond tiny. It made no sense. My Grams on the other hand, just perfect. Next time. And there will be a next time, hopefully soon, because the girls now really want to go bowling. Back up a minute or two though to breakfast. We rarely go out to eat, because it’s pricey and why pay someone to make something I can easily make at home – right? I know sometimes it’s a treat and truly to be enjoyed. I love breakfast so unless it’s a complete botch, I’m happy. One thing I have yet to order while out is French toast. I fear soggy, weirdly cooked and flavorless French toast. It’s a true fear. I like mine with a hint of cinnamon. The thicker the bread, the better. So, I always make my own French toast but this week I went a step further and decided to make a casserole out of it. Not only can you feed a crowd easily with this, but you can work on other items while this cooks. Don’t be a slave to flipping individual pieces of French toast anymore! The best part about this is the layers of sweet apples and cinnamon. I truly wish I’d made a larger batch of this because my family gobbled it up! 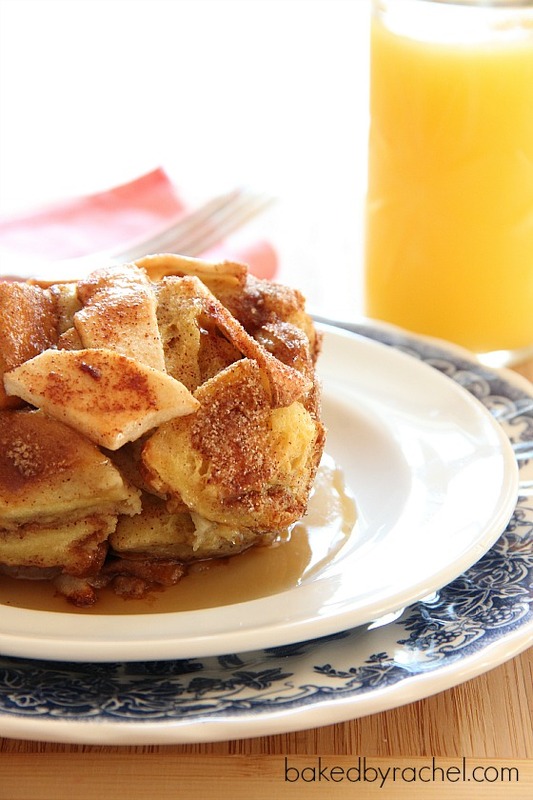 French toast meets apple pie in an incredibly easy and tasty casserole. Preheat oven to 350 degrees. Lightly grease an 8x8 square baking dish, set aside. Cut challah bread into 1x2" cubes. Transfer to a large bowl. Mix eggs, heavy cream and 1/2 tsp cinnamon. Poor over bread, toss with your hands to coat well. In a small bowl, mix 2 tsp cinnamon and sugar. Peel, core and slice apples into thin pieces. 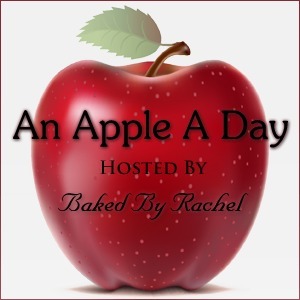 Add 1 1/2C apples to bottom of your dish. Sprinkle with cinnamon-sugar. Cover with half of the soaked bread cubes. Layer with half of the remaining apples and more cinnamon-sugar. Create one more layer with bread cubes, apples and cinnamon-sugar mixture. Bake in a 350 degree oven for 50-60 minutes. Serve hot with maple syrup. 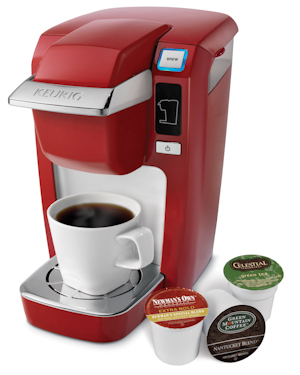 One winner will receive one (1) red Keurig MINI Plus brewing system and one (1) box of apple cider K-Cups. Giveaway will run from September 22, 2012 – September 25, 2012. Winner must be at least 18 years old and a US resident. Winner will be randomly selected and emailed. Winner has 48 hours to respond or another winner will be chosen. Main entry must be completed or extra entries will not count. Disclaimer: I asked Keurig to be a sponsor of An Apple A Day. I was not compensated for this post or giveaway. All opinions are my own.